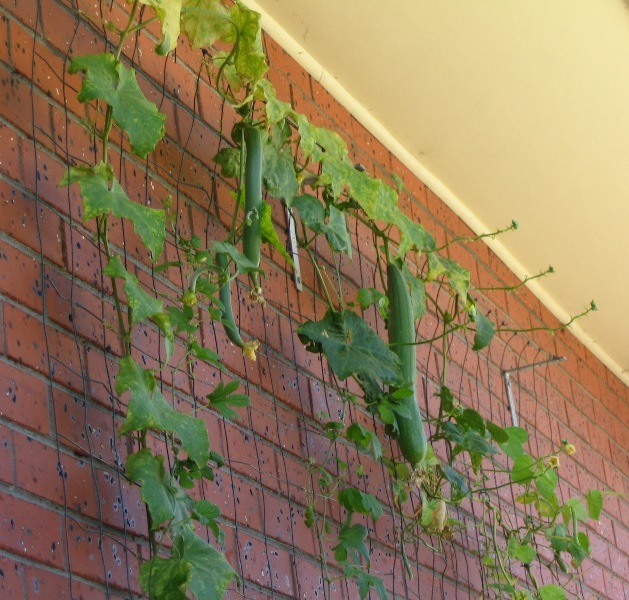 It’s now May 2009, and the garden is once again stable and growing, and bearing its fruits. 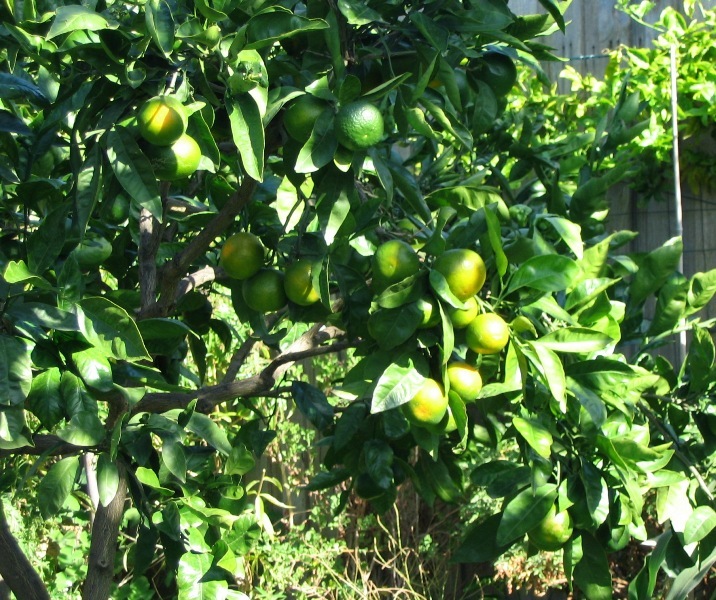 Mandarines are just starting to ripen, they are first changing colour where the sun strikes. While the other hydroponic cucurbits have started dying off, its a good time to make use of the principle of succession planting. 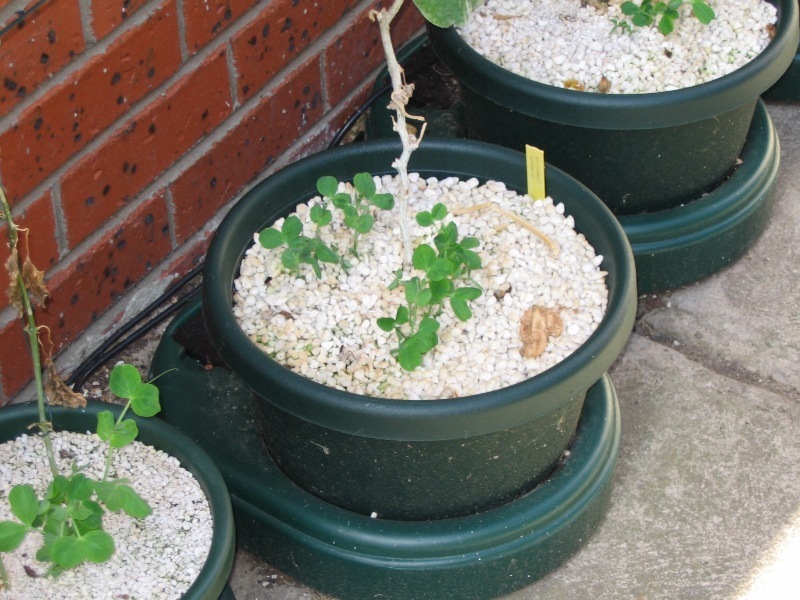 When one plant goes, another comes in quick succession to continue the growing – no point having unused growing resources when there could be a plant in there instead. 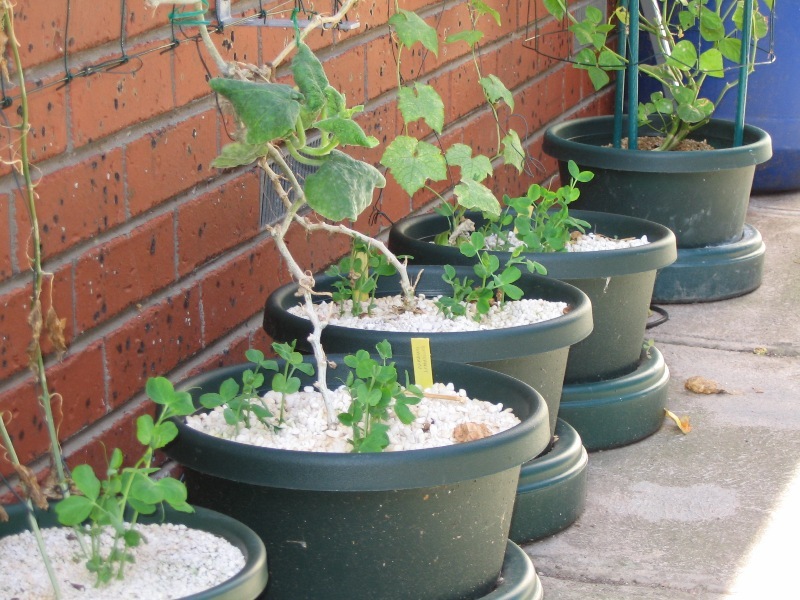 I’ve put climbing peas in and they’re starting to grow. It will be interesting to see if the peas can do a better job filling in several square metres of wire trellis. 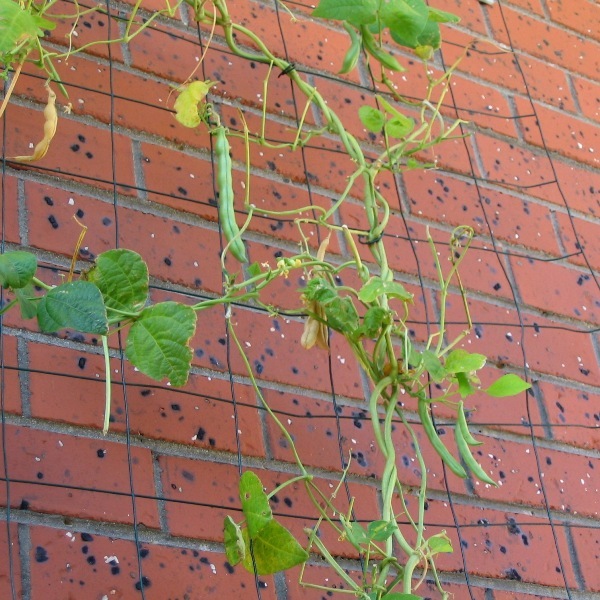 Climbing beans are still producing, they’ve fared well in this position. Another good yield of potatoes, again from the surplus soil from levelling the garden that’s been stored in 45 and 60 litre pots. These are Kestrel and Red Rascal varieteis, and there is 1.4kg of the former and 1kg of the latter here. 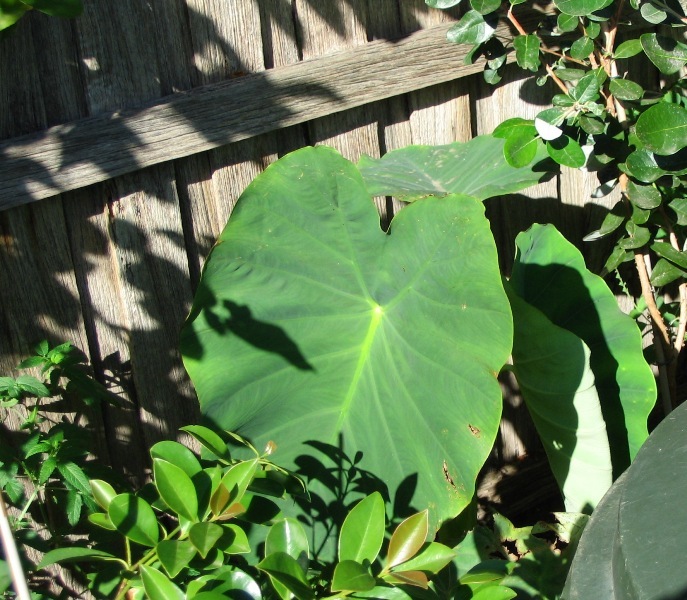 Taro, a tropical tuber plant, growing in the back of the garden behind the compost bin. These love lots of moisture, and this one was rescued from a scrap in the compost that began to grow. I planted it and it’s growing strongly, possibly because it has access to all the nutrients leaching out of the 400 litre compost bin! 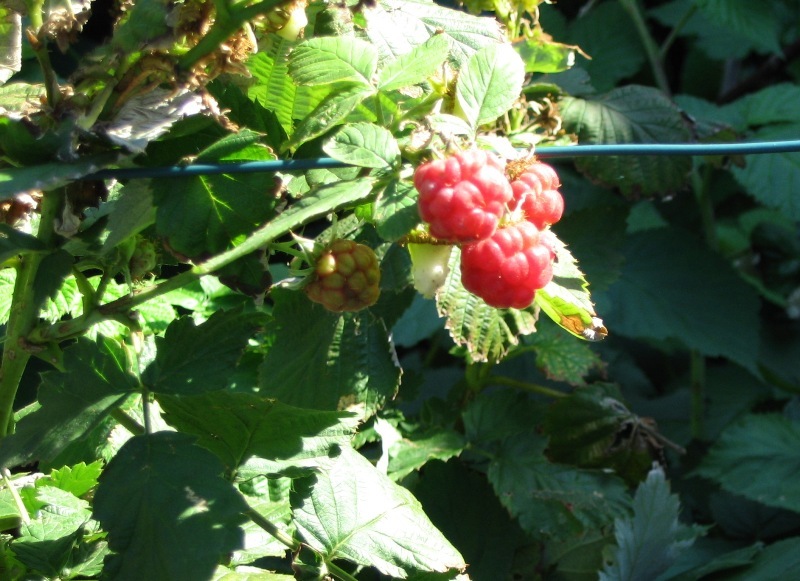 Raspberries, still producing consistently, even after several months, these are a delight to pick fresh. I seem to get a handful every two days, over several months, pretty good stuff! 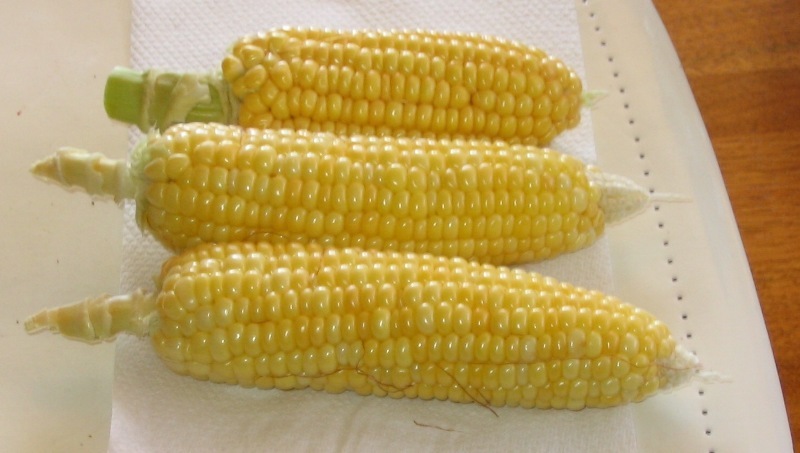 This is all the sweetcorn that survived… It’s not much but it tastes delicious. 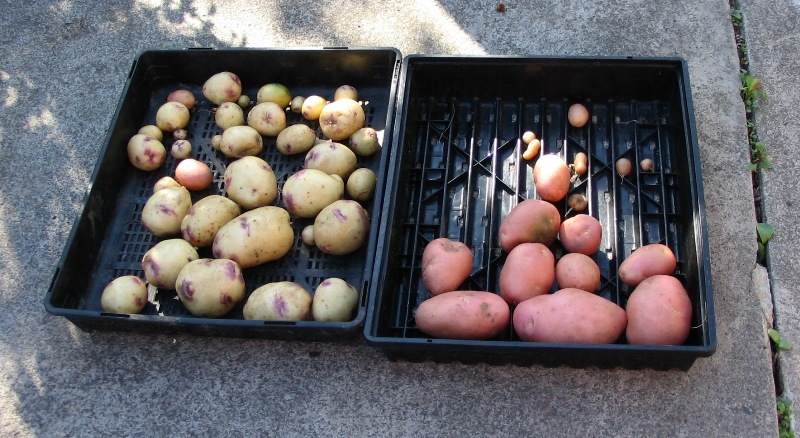 I saved another two more cobbs (not shown here) for drying to obtain some seeds for next year.